The 1940s and ’50s in the tiny town of Port William was an idyllic time and place for author Rita Haley Butcher to spend her formative years, and her new book “Growing Up in a Place Called ‘Port,’” reflects the ways that the people of this Clinton County town shaped her life. Rita will be signing her book, published by Braughler Books, from 2-4 p.m. Saturday, April 13 at the Clinton County History Center, 149 E. Locust St. in Wilmington; the public is invited to attend. She will also sign books at the Port William Festival June 15-16. In many ways, life was simpler during the time in which young Rita grew up in Port, village of 350 people who knew and loved each other, their lives interwoven from the time they were born. A great deal time was spent at Port William’s public school, the town’s main hub of activity, which educated children and as served as both a social-gathering place and sports locale. The author of “A Place Called ‘Port’” is the mother of 10 children as well as a grandmother, great-grandmother, and mother-in-law. She was married to the late Richard E. Butcher for 52 years and lives in Wilmington, where she is a member of a local writer’s group. She is also an avid scrapbooker in two different scrapbook groups. 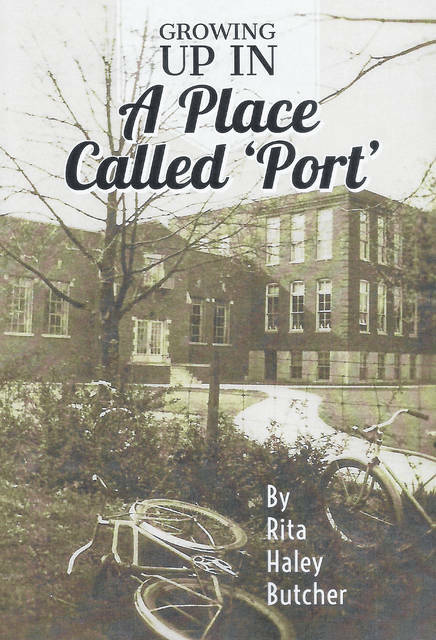 In addition to the April 13 and June 15-16 book signings, “Growing Up in a Place Called ‘Port’” will be available for purchase for $19.95 in the Clinton County History Center gift shop and directly from Rita Butcher at rbutcher@cinci.rr.com .